With half of all Canberra collisions occurring at intersections police are this month cracking down on people not using them properly. In the first four months of this year, 383 Traffic Infringement Notices were issued to people breaking road rules around intersections and police are urging road users to take more care. According to Traffic Operations Officer in Charge, Acting Station Sergeant Marcus Boorman, many collisions around intersections are preventable. He said it is important for road users to pay attention, know the road rules, follow the rules and not take chances. “Everyone using the road is responsible for knowing the road rules. That includes drivers, motorcyclists, cyclists and even pedestrians,” Acting Station Sergeant Boorman said. “It’s just as important for a pedestrian to know when and where they can walk as it is for a driver to know when to give way or when to stop,” he said. 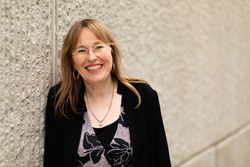 “If you’ve ever found yourself at an intersection asking yourself, ‘do I need to give way here or do they, do I stop or do they’, then you need to refresh yourself on the road rules. Acting Station Sergeant Boorman said that this makes it all the more important for road users to know the rules, pay attention and take extra care when approaching and moving through intersections. “ACT Policing will be out this month targeting road rules around intersections and no, we won’t just be targeting drivers,” he said. Anyone wanting to brush up on the road rules will find the ACT Road Rules Handbook on the Access Canberra website. How well do you know the road rules for intersections? Shown below are five of the trickiest intersections. Take a look at them and answer the short quiz. The answers are at the end of the quiz. Answers: 1. b 2. b 3. b 4. b 5. both of them! Juding from the behaviour of many drivers in Canberra, any answer is wrong if it suggests that Canberra drivers do not at all times have the absolute right to endanger the safety of anyone attempting to use the road who is not themselves in a motor vehicle. Ie, pedestrians, cyclists, people in wheel chairs, kangaroos, dogs, cats, children, the elderly. 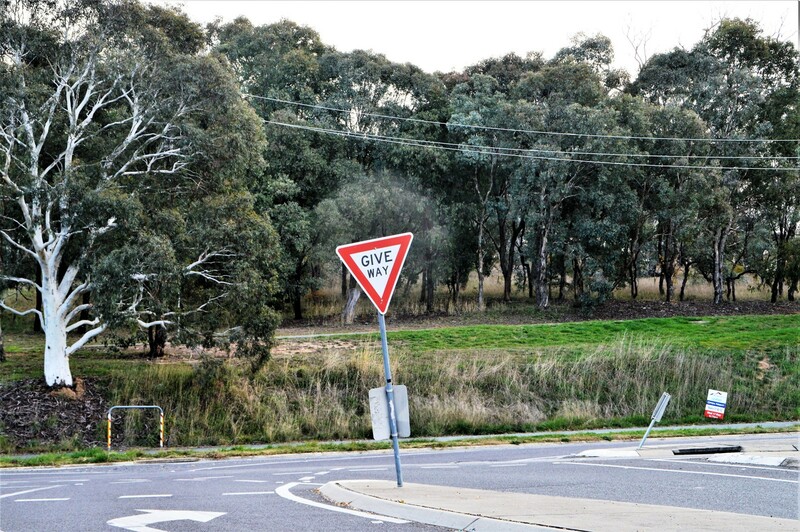 Speed limits, use of turn indicators, and safe following distances do not apply to Canberra drivers. Because liberty. Who knows the answer to this question? Who is responsible for creating dangerous roads? Who has to assume responsibility for fostering better driver behaviour? Since i’ve been in Canberra nobody has ever let me turn right out onto the road in front of them, they’ve all driven round me while i’ve been waiting to turn right. 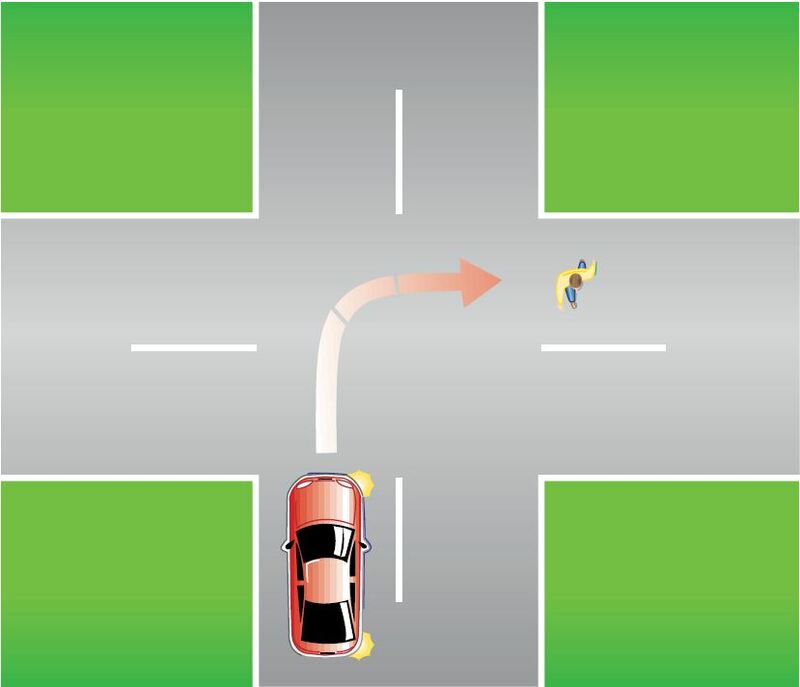 It’s the opposite to how i was taught, to let people out in front of you so it’s easier for you to turn right across the space they’ve left to help the overall traffic flow. On the occasions when I’ve waited to let somebody out because it’s easier for both of us, other drivers have just sat there immobile and stared at me as if i’m mad for trying to help them get on. I thought the rules must be different over here but unless that answer is wrong, they’re not. Judging by the number of people who cut across in front of me as I’m going through the first part of the intersection to turn right into Benjamin Way from Chandler St in Belconnen many people don’t know the correct answer to Q1. Hi house_husband, I agree with you 100%. I see this everywhere in Gungahlin too. But over here, you get beeped by the person in the wrong as well. Such a basic rule of the road. How did they pass their driving test? Or do they think if they are in a more expensive car, they have right of way, or are they on ‘ice’ and feel extra brave? Turning left against ‘no left turn’ signs, and turning right against ‘no right turn’ signs and turning right or left against ‘straight ahead only’ signs is rampant. Someone will eventually be killed. Sorry emu, I was trying to change the questions around a bit so that it wasn’t too easy and people had to think about it. However, apologies if you found it confusing. Oh! It’s okay. The questions alternate with “which car has right of way” and “which car must give way”! So, confusing! Please explain the answers to 2 and 4. 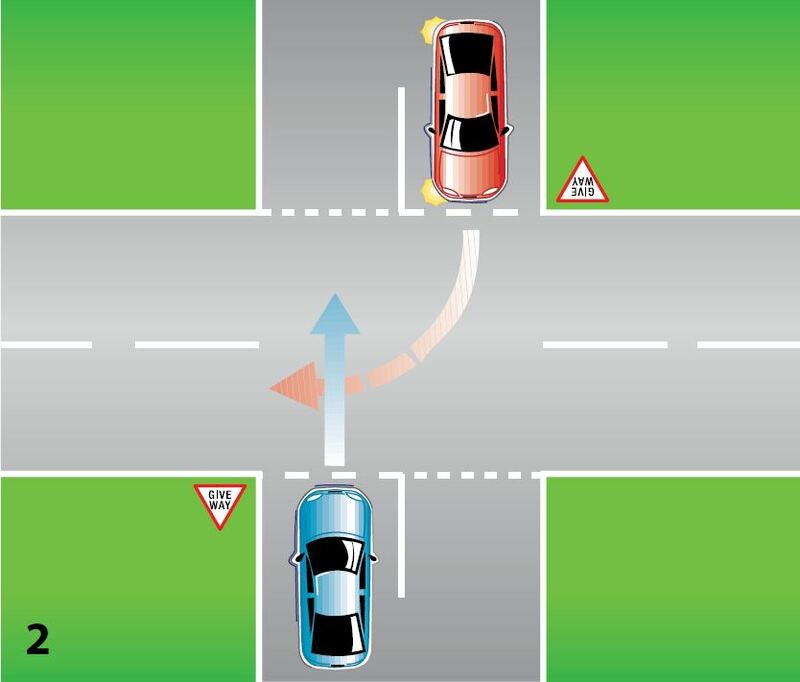 I thought that at any intersection without stop/giveway signs that a driver should give way to the vehicle on the right whether turning or travelling straight through. There is no “right of way” in the road rules. If a driver fails to give way, that doesn’t entitle you to cause a collision. Fair call on questions 2 and 4 makingtide! It would certainly be less confusing if the letters on the cars matched the letters in the answers. I have now changed this to make them match up. 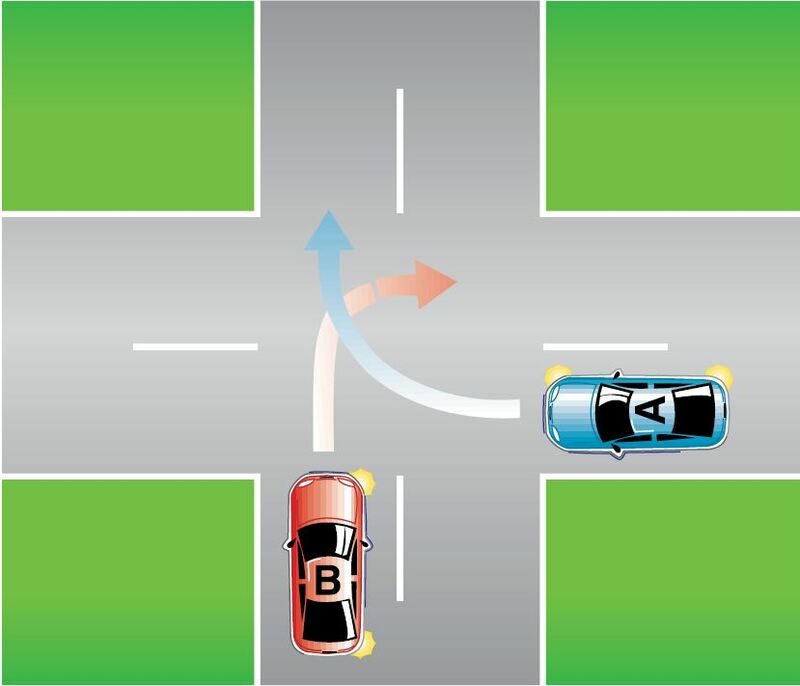 The diagrams were taken from the ACT Road Rules Handbook, which is why there is a random ‘2’ on the first diagram – apologies. The answer for the last question was the one given to me by ACT Policing but I do see your point. 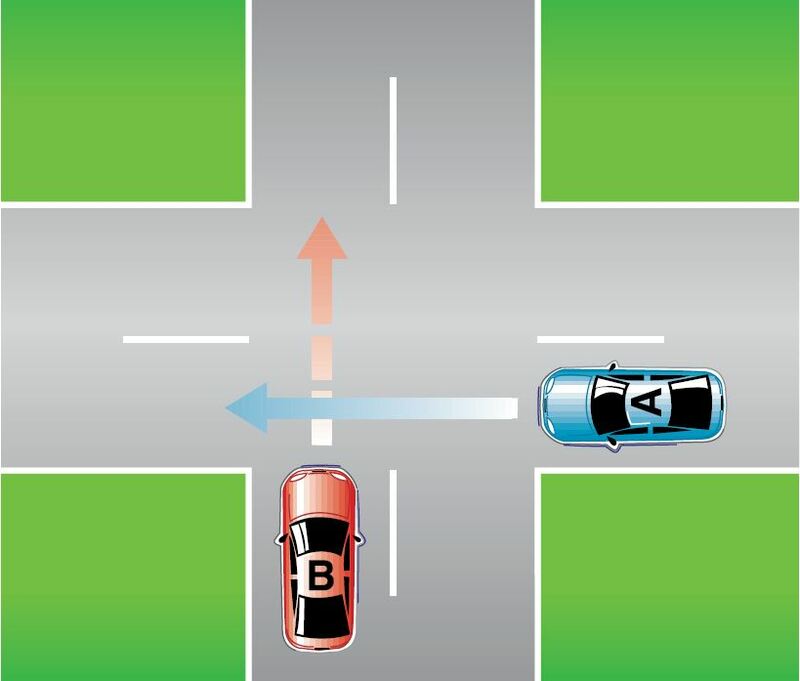 The way it works in the booklet is that the red car is always meant to give way and the blue car is always meant to be the one with right-of-way. Thanks for your input. This quiz is wrong on so many levels: The first question has a great big number 2 in it (suggesting it was originally going to be the second question? ), the second question and fourth questions talk about a) the red car and b) the blue car when a) is actually the blue car and b) is red. 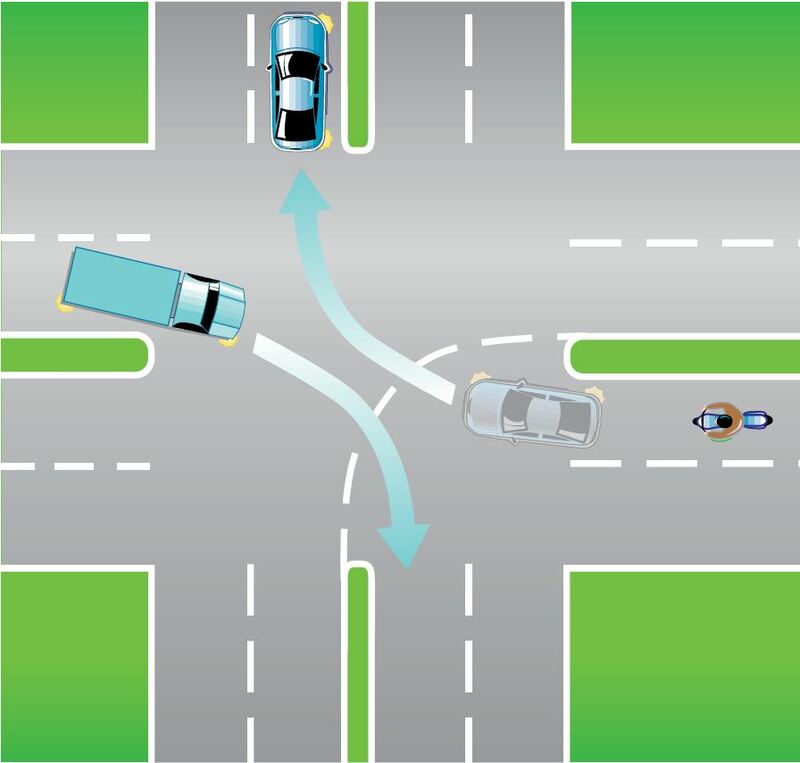 The answer to question 5 is wrong; the truck does not have right of way as the motorcycle is not turning, therefore the truck has to give way. Question 3 looks OK. I guess. Where is the supervision? Where is the pride in your work? How did these people get their job? Why haven’t they got the required skills to perform their job properly? This goes to a much broader question in our society. If you think this is bad, just have a go at trying to get sense out of help desk personnel.